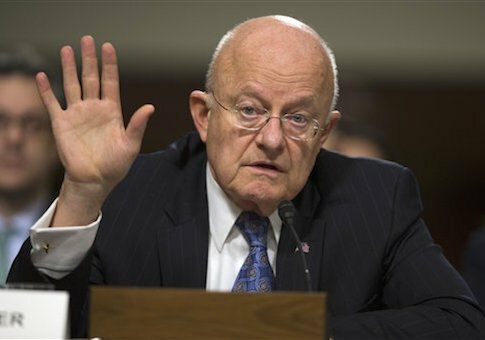 Clapper: ISIS Can Execute Paris-Style Terrorist Assaults in U.S.
Director of National Intelligence James Clapper recently said that ISIS has the capability to carry out a Paris-style attack in the United States. Similar to ISIS’ coordinated blasts abroad, Clapper told CNN in an interview published Wednesday that jihadists have the ability to use terrorist cells throughout the U.S. to perpetrate "dozens of casualties." "That’s something we worry about a lot in the United States, that they could conjure up a raid like they did in Paris or Brussels," Clapper said in an interview with CNN’s Peter Bergen. Though President Obama did not nix the possibility of an attack, he told Bergen during the same interview that the U.S. does face less of a threat than Europe. Regardless, he said the "Paris-style" and "Brussels-style" attacks still pose a challenge to U.S. intelligence officials. National security adviser Susan Rice vaguely added that the administration would continue to do its "utmost" to prevent a terrorist attack "whether or not" ISIS has the capability to do so. Last week, Clapper warned that ISIS had jihadist cells set up in the United Kingdom, Germany, and Italy, adding that U.S. intelligence officials "continue to see evidence" of ISIS plotting in those nations. Unlike in Europe, Clapper told CNN Wednesday that ISIS itself is not an existential threat to the U.S., but could "infiltrate people or incite people" who are already in the nation to carry out assaults. The terrorist group used similar methods to carry out its November attacks in Paris that killed 130 people along with its March blasts in Brussels that killed 35. Clapper’s comments arrived one week after Obama pledged to send 250 additional troops to Syria to coordinate with local forces in degrading the terrorist group. This entry was posted in National Security and tagged James Clapper, Terrorism. Bookmark the permalink.